The ID card office operates by appointment only. We accept walk-ins for CAC unlocks, newborn DEERS enrollments and fixes to smart card error messages. To make an appointment for your Common Access Card or Military ID card click the Rapids ID Card Appointment button. All passport applications are done by appointment ONLY. Email 35fss.passports.1@us.af.mil (Tourist/Official/No-Fee) or call 226-2411 (Official/No-Fee). Download the appropriate checklist and documents provided below to get a tourist or no-fee/official passport. Official passport photos can be taken at MPS (Customer Support Office) for free. Tourist passport photos can be taken at the Print Shop for a fee. Schedule an appointment to have one of our Passport Agents review and sign off on your documents. Once everything has been approved, mail your application to the U.S.
Click the button below to view the checklists needed to apply for or renew your tourist passport. Read the scenarios below to determine which checklist to use. If you don’t have a U.S. passport of any kind and need a no-fee or official passport. If you already have a passport (tourist, no-fee or official) but need a new passport different from your current one. For example, you have a tourist passport but you now need an official passport or vice versa. If your no-fee or official passport is expiring and you need to renew it. If your no-fee or official passport is lost, stolen, damaged or mutilated and you need to have it replaced. *Tourist passports cannot be expedited from overseas locations. How can I find out the status of my passport application? For tourist passports, email the Passport Office at 35fss.passports.1@us.af.mil to get the status of your application. How long will it take for my Consular Report of Birth Abroad (CRBA) to arrive? How will I know when my CRBA/Passport arrives? The CRBA will be mailed to your PSC Box directly. Official/no-fee and tourist passports are mailed to the Passport Office who will, in turn, contact you when it arrives. Do I need to submit original documents when I apply for a CRBA or passport? It depends. The checklist will specify which documents are required to be original. Please be advised that all documents will be returned to you. How can I obtain a passport if I lost my naturalization certificate? A certified letter from the Immigration and Naturalization Service (INS) or Court of Naturalization with the applicant’s name, date of birth, certificate number and date and place of naturalization. Receipt from the INS for a replacement certificate. A statement from you explaining the loss of the Naturalization Certificate. I just received my passport and noticed my name was misspelled. What do I do? You have to re-apply for a new passport. If a 16–17 year old applicant has their own ID, can they apply for their own passport without a parent? Yes. If a 16 or 17 year old applicant has a valid ID recognized by the Department of State (e.g. driver’s license or current dependent ID), then they can apply for a passport without a parent present. Although still legally minors, they are allowed to apply with a valid ID without a parent. If the minor does not have an ID, a parent or legal guardian must be present and show acceptable identification. I signed my child's passport application, but when we received the passport my child's step-parent (my spouse) signed the actual passport. Is this a problem? No, but the biological parent, who signed the application for the child, should sign the passport. Since the step-parent already signed the passport, the biological parent should also sign above or below the step-parent’s signature. The passport should be signed the same way that the application is signed. The biological parent should PRINT the child’s name on the line and write “By father” or “By legal guardian,” etc., and sign. What happens to my application if the Department of State finds an error on it? Will the application be returned for correction? No. The Department of State will suspend the application and keep all documents. They will send an email to the applicant and the Passport Office with instructions on how to correct the error(s). If you do not provide a response to the Department of State within 45 days, the application will be cancelled and you must complete a new application. In regards to citizenship evidence, I was born in California and they do not require documentation to change names. I now have a different name. What document can I submit if I am using a different name than what's on my citizenship evidence? 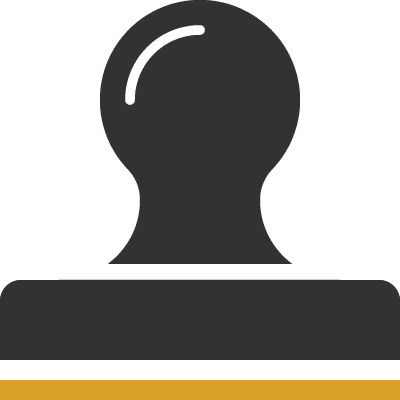 If you do not have a court order showing a legal name change, then you can use documentation showing that the new name has been used for at least five years, such as affidavits from at least two persons that have knowledge of you using that name for at least five years, tax records from the first year the new name was used, or school records showing exclusive use of the name at that time. How do I know if my passport is damaged, mutilated or altered beyond validity? A passport is considered damaged, mutilated or altered beyond validity when pages, photographs or both are removed, or unofficial changes in the descriptive data page are made. The unauthorized alteration of a U.S. passport is a serious matter and renders the passport invalid. If you have specific questions, email the Passport Office at 35fss.passports.1@us.af.mil for Tourist, Official or No-Fee Passports or call 226-2411 for Official/No-Fee Passports ONLY. Can a page be re-attached to a passport? No. The passport book is technically and legally considered damaged/mutilated and the applicant must apply for a replacement. I just received a discrepancy notification from the Department of State. It will take more than a month to get the requested information. What should I do? Contact the Passport Office immediately to request an extension. If an extension is not granted by the Department of State (Dos), you can cancel your application and re-apply when you have all requested/required documentation, or you can attempt to get all documentation per the DoS. Be advised that if you fail to respond to the DoS in a timely manner, the DoS may cancel your application. Will my evidence of citizenship be kept by the Department of State if my application is cancelled? No. If the Department of State cancels your application, they will return all paperwork. I am in the military and a foster parent. The state Social Services Department placed a child in my care by court order, but the custody is retained by the state. The court order allows the child to be entered into DEERS and have an ID card. The state has given me permission to take my child on an overseas assignment as placement is considered "permanent" even though the child is not adopted. How can I get a passport for my child? Along with all required documents, submit the original documentation from the state granting you permission to take the child out of the country, as well as any legal documentation pertaining to this case. The Department of State will make the determination and notify you if they require further information. Can I apply for an official passport if I have no immediate departure or destination, but might need it at a moment's notice for deployment? Normally, no. Official passports are issued based on destination and requirements of the foreign country per the Foreign Clearance Guide. The Department of State will issue a passport only for known missions. However, if you are directed by your unit to get an official passport to be ready for a future undetermined mission, then submit an application with a letter from your command justifying the request. Any exception must go through the service OPR, the DOD Executive Agent, and then to the Department of State which has final authority for granting exceptions. This letter may be in the form of a Memo for Record formatted per your service’s regulations. I am currently on active duty and will retire very soon. My spouse is also active duty and has an assignment overseas. What is the earliest date that I can apply for a no-fee dependent passport? You can apply for a no-fee passport when you receive your retirement orders and when your spouse receives travel orders. Can I apply for a tourist and no-fee passport at the same time with the Passport Office? Yes, except for newborn babies. For infants, a Consular Report of Birth Abroad (CRBA) and tourist passport applications can be done concurrently. However, the CRBA is required before a no-fee passport can be processed. Can I apply for CRBA and tourist passport at the same time for my baby? Can I apply for CRBA and no-fee passport for my baby? No, a CRBA is required first before a no-fee or official passport can be processed. What is the difference between an Official, No-Fee, Tourist and Diplomatic passport? No-Fee Passport: Issued to dependents of military members traveling abroad on a military ID (CAC) and orders for official duties. Tourist (Fee) Passport: For personal and commercial business travel. 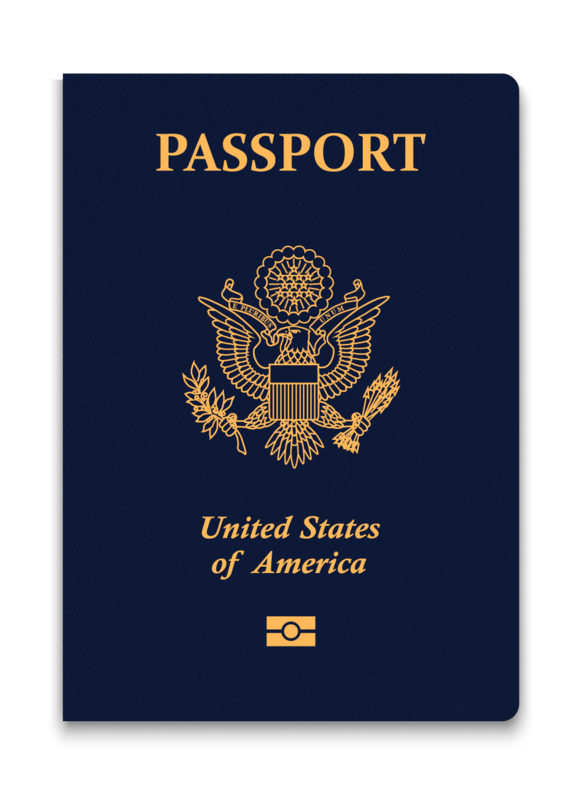 Diplomatic Passport: Issued to U.S. Foreign Service Officers and to other officers and employees of the U.S. Government and their dependents who are traveling abroad on diplomatic duties. Will I receive all of my documents back after my application is approved? If I traveled overseas using my official passport, but obtained a tourist passport also, which one should I carry on me while overseas? When traveling abroad on official government business, you must use the official passport. Use of the official passport is not “merely an option.” Volume 22 of the Code of Federal Regulations (CFR) provides in part 51.3(b) that “an official passport is issued to an employee of the U.S. Government proceeding abroad in the discharge of official duties.” The purpose of an official passport is to provide protection for the traveler when abroad on official government business. The regular tourist passport cannot provide the same protection or privileges. I recently got married and changed my name. Is a photocopy of the marriage certificate acceptable when I apply for a new passport with my new name? No. You need to submit the original marriage certificate. Can I apply for an official passport if I'm going to a unit-sponsored athletic event? No. You can apply for a no-fee passport instead. This passport is limited to the duration of the event plus one month. On the DD Form 1056, block 17, you must indicate the type of event and dates of participation. Monday–Friday | 9 a.m.–3 p.m. Appointments are available for shift workers outside of walk-in hours, call or email to schedule. Monday, Tuesday, Thursday & Friday | 8 a.m.–4:30 p.m.
Wednesday | 8 a.m.–3 p.m.
Monday–Friday | 9 a.m.–11 a.m. & 1–3 p.m. Walk Ins: 11 a.m.–1 p.m. Appointments are available online and given priority over walk-ins.